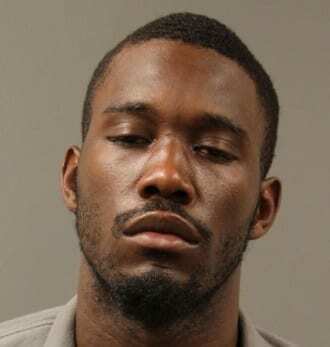 Detectives with the Baltimore County Police Department Homicide Unit have charged a suspect in connection with a January homicide in Essex. Just before 2 a.m. on January 26, Baltimore County Police and Fire personnel responded to Valley Arbor Court in Essex for a report of a shooting. When police arrived at the scene, they found two men that had been shot. Both were transported to area hospitals where one of them died. The man who died was identified as 25-year-old Antonio David Truesdale of Essex. The other man was treated at an area hospital and later released. The initial investigation into this incident has indicated that Truesdale and another man were involved in an interaction with two male suspects. During that interaction, at least one of the suspects shot both men. A subsequent investigation led detectives to identify 21-year-old Sadiq Torrez Heyward as the person responsible for this crime. Heyward has been charged with first-degree murder and attempted first-degree murder. He is being held without bail at the Baltimore County Detention Center. This incident remains under investigation by the Baltimore County Police Homicide Unit. Detectives are continue working to identify the second suspect. Anyone with information on this case is asked to call police at 410-307-2020 or Metro Crime Stoppers at 1-866-7LOCKUP.